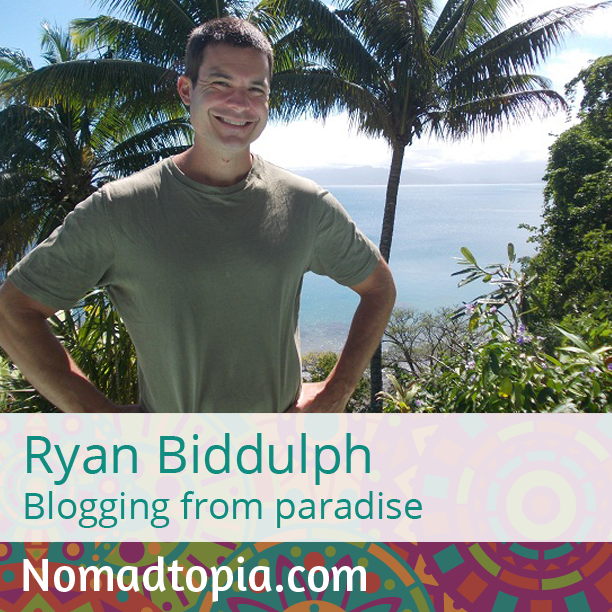 Ryan Biddulph quickly recognized that getting laid off from his job as a security guard had given him an opportunity to truly set himself free. First, he researched and got started making money online, and after a couple years he realized he could easily take his work on the road. Tune in to find out how Ryan, who’d never traveled outside the US until he and his fiancée took off to Bali, became a long-term traveler and successful online entrepreneur. So many to pick from, but I’d say petting three 400-pound tigers in their cage in Thailand. Technology is everywhere. I once saw a woman in the Vietnamese rice fields checking her smartphone!